Awesome, amazing to know about this fact. Thank you very much for sharing. In english they say ‘no guts, no glory’. This was very aptly shown by HH Bhakti Tirtha Swami and HH Radhanath Swami. Such eagerness to see the Lord…I wish I too get such eagerness. thank u very much for posting this amazing story. Thank u Maharaj for sharing this wonderful article. 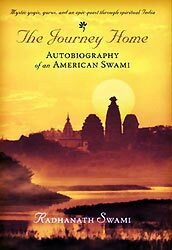 Thank you Maharaj for written such a nice experience in your Journey home book. What an adventurous darshan of Lord Shiva! Radhanath Swami & Bhakti Tirtha Swami have shown that a deep eagerness in the heart & the Guru’s mercy are the only qualifications to see God. On one hand Srila Bhakti Tirtha Swami had such a intense eagerness to see the lord and on the other hand was the divine will of the lord fulfilling the desire of his dear devotee. These incidents show that God is as eager to meet his pure devotees as the pure devotees are eager to meet him……..
Really, it is the exmple that that Lord personally take care of the devotee who is sincere, honest and love him. Thank you for sharing this divine experience shared by HH Bhakti Tirtha Swami. Very nice incident from the life of Radhanath Swami!!! 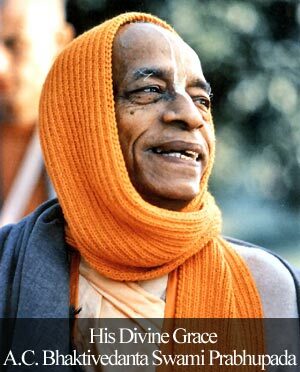 Srila Prabhupada was a great devotee and by his blessings only Bhakti theertha swami got the darsan of the Lord.Really great. Jai wonderful article. Story of devotees eagerness and Lords mercy. If we have a strong desire to see the the Lord, He reciprocates. Thank you for sharing this story which demonstrates the love of the Lord toward His devotee. Amazing incident! thank you for sharing. The Lord always arranges an audience for those who have a strong desire. This is the eagerness to see the Lord. Thanks for sharing. 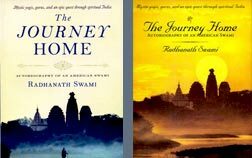 Radhanath Swami has given us such a wonderful account of how his friend H H Bhakti Tirtha Swami got the darshan of Lord Jagannath. On the one hand, we are told that ALL living beings are children of God, then I’m surprised at this controversy of Indians being allowed to get darshan and foreigners being denied entry into the temple. Aren’t all of us children of God ? But as Radhanath Swami has explained, the Lord makes arrangements for his sincere devotees. wonderful such an amazing pastime of H.H BhaktiTirtha Swami Maharaj thank you for sharing this hari bol !!! !